Rowan Munchenberg commenced as Managing Director of Bankwest in January 2017. 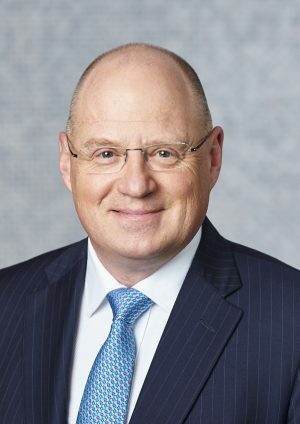 He joined the Commonwealth Bank in 2001 and has had broad experience through a number of senior executive roles across retail, business and institutional banking businesses. Prior to joining Bankwest he resided in Johannesburg, where he led the digital banking growth strategy for South Africa in the role of Executive General Manager of South Africa for CBA, following the Group’s acquisition in January 2015 of Take Your Money Everywhere (“TYME”), a South African start-up technology services company. Rowan has extensive expertise in retail and business banking, and technology and innovation-based business leadership. He has held a range of senior roles in CBA including Executive General Manager (EGM) Group Strategic Initiatives, where he was responsible for successfully building productivity capability across the Group; EGM Banking Solutions in the Group’s business and institutional banking division, where he managed the business banking product portfolio together with operations; EGM Service Delivery where he led a team of 3,500 across Australia to run back-office operations for retail, business and institutional banking within CBA and had responsibility for the EGM Retail Products role within Retail Banking Services (RBS). Prior to joining CBA, Rowan held senior product and leadership positions in Telstra, Australia’s largest telecommunications and information services company, including CEO of BigPond, where he grew the business to become Australia’s largest internet service provider. During his tenure at Telstra, Rowan was also responsible for all business-to-business e-commerce products.